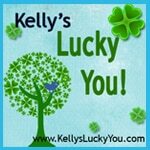 Kelly’s Lucky You is hosting a giveaway on her site for $25 Paypal Cash! Visit the Ross Stores Facebook Page and click “like” on her video. The giveaway is open worldwide and ends on 1/16. Let’s help Kelly win and enter to win some $$$! I liked the video, Good Luck it was really good. Good luck Kelly!! I liked your video. Very cute!! Good luck, Kelly … awesome job! My prayers are with you to win. Like her video, but, I guessed the wrong dress. I love Ross, there’s something for everyone and every room at a terrific price.